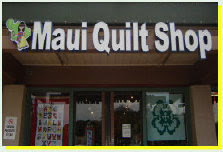 From Maui Quilt shop Website. 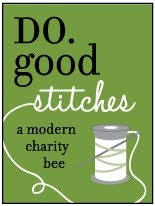 Here is there website! The ladies were the sweetest ever and so helpful. She even has a class, but I didn't have time to fit it in between road trips to Hana, Volcano craters, snorkeling, beach bumming, canoeing, and spending time with the boys! The whole LONG flight home, I wish I had my computer to write out my future blogs. 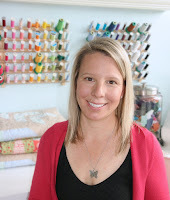 Inspiration, Hawaiian quilting, fabric, and photos! And I finally have a perfect segue into a fellow blogger meet I had in Boston. Can't wait to share about her. I promise...more to come sooner than later!! !